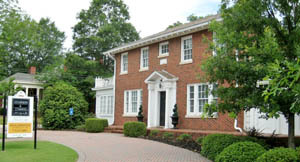 Wood, Odom & Edge, PA was originally founded by Gus Wood and Parnell Odom. In 1980, they were joined by Arthur “Skin” Edge. Members of the firm have been providing legal services to clients in the Newnan community and surrounding areas for more than 40 years. It is the goal of the attorneys and staff to put clients at ease from the start. We strive to provide a professional and personable environment in which our clients feel comfortable and assured that their legal needs are understood and addressed by an experienced and caring attorney. With more than 40 years of experience, we have developed a reputation of strong advocacy and credibility with the court, the opposing counsel and our clients. Serving Newnan, Coweta County and West Georgia, including Carroll County, Heard County, Meriwether County, Troup County and Fayette County.